Finding the right wifi printer can be a daunting task especially when most new copiers come with standard wireless all in one printing features. In order to decide which wifi printer is right for you there are certain determining factors you must pay attention to. Printing technology, cost, print resolution, and wireless features are just a few factors to keep in mind when looking for your next printer. Wireless all in one printing technology: Since most new desktop and stand alone printers now come with wifi printing as a standard feature it can become difficult to determine which features are truly important and which are not. The first thing you should look at when buying a wifi printer is which wireless technology it uses. Some technologies include Bluetooth or a wireless internet connection that connects your devices to your printer. 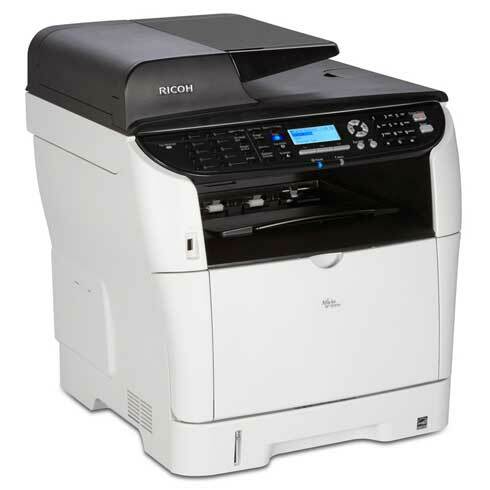 Traditionally you will find that manufacturers like Ricoh offer great desktop as well as stand alone wifi al in one printers including scanner, fax, and multiple paper format trays. Printing speed: the speed of your wifi printer is important and can be measured in ppm (pages per minute.) Knowing a wifi printers speed is key especially if you have a high printing volume. Speeds usually vary between black/white and color prints and when choosing the right wireless all in one printer a printing speed of over 20 ppm for color should be sufficient. Print Resolution: another important factor to consider when purchasing a wifi printer is print resolution. Whether your printing photos or office documents your wifi printer needs to have great resolution and this can be measured in dpi’s (dots per inches.) High quality images usually have a minimal dpi of 1200×2400. If the majority of your printing will be high resolution graphics then its important to find a wifi printer with a higher resolution.